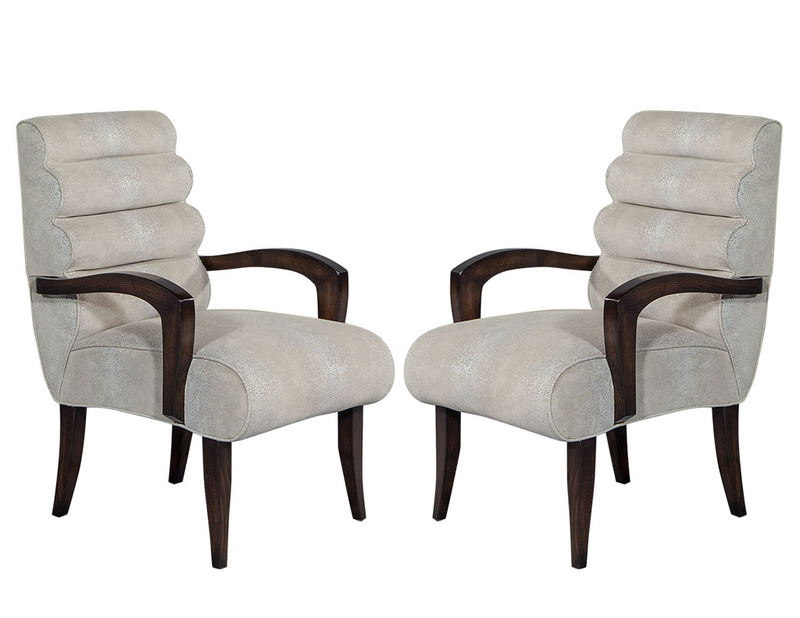 These chairs are part of the Carrocel Revival Collection. 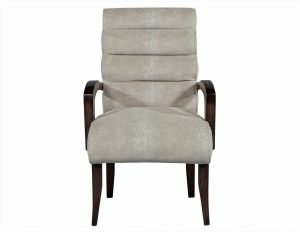 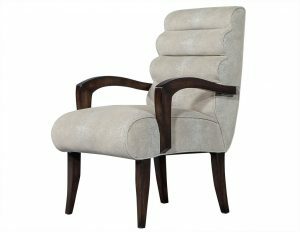 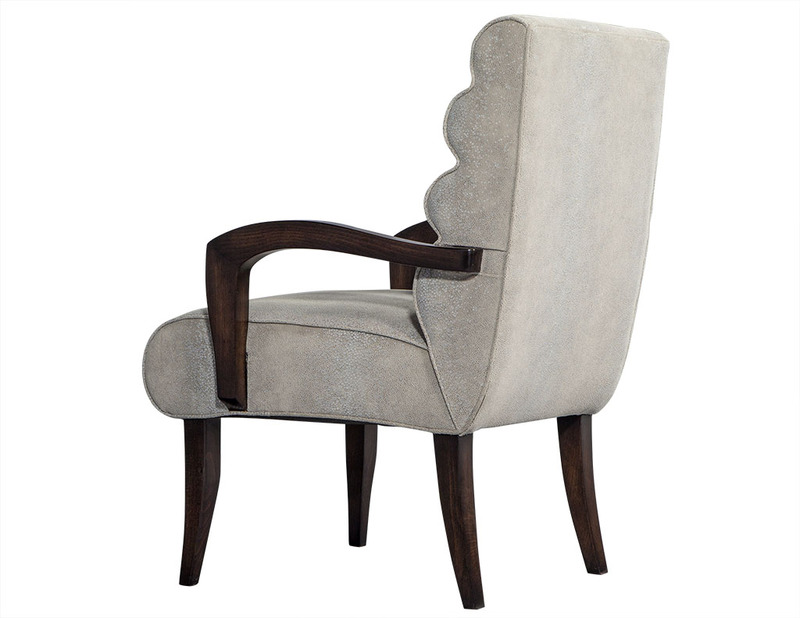 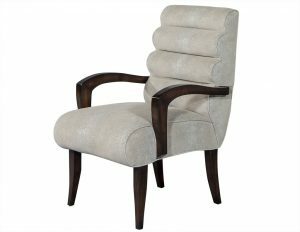 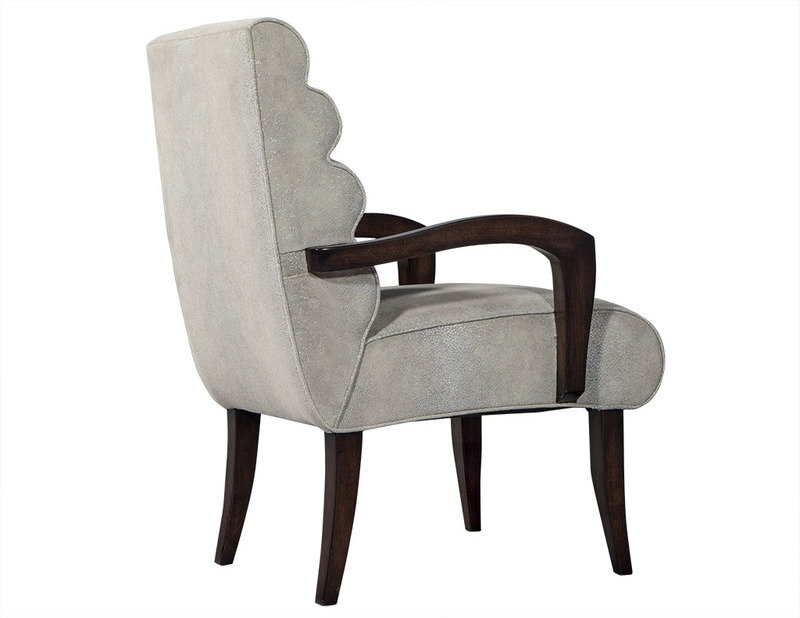 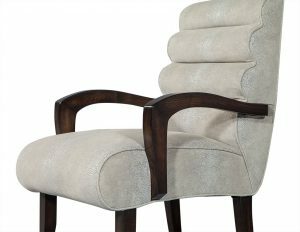 The chic design of these chairs offers an air of sophistication to a space with refined clean lines and curves. 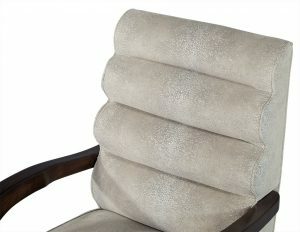 The chair is upholstered with four tubular rolls on the back and a tight seat. The frame has been custom finished in an ebonized lacquer, hand rubbed to a beautiful patina. 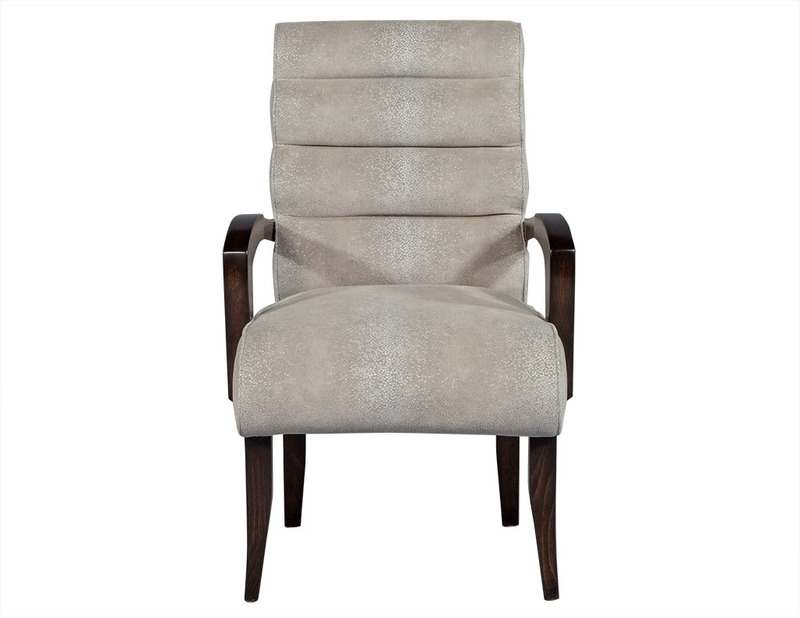 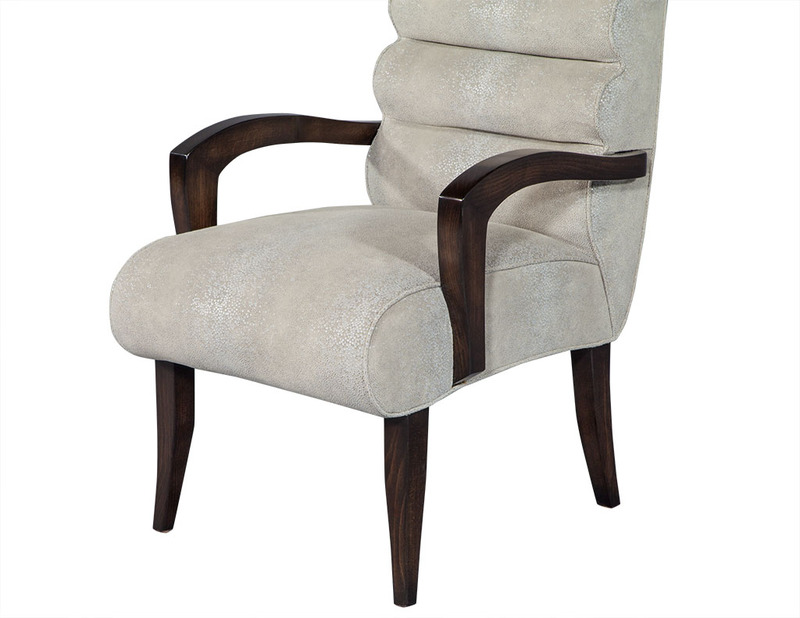 Upholstered in a faux shagreen fabric, with hues of silver and grey. 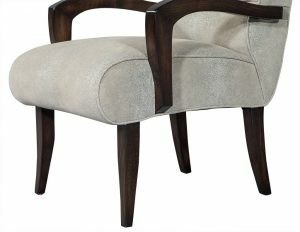 Perfectly revived for the most stylish interior space.